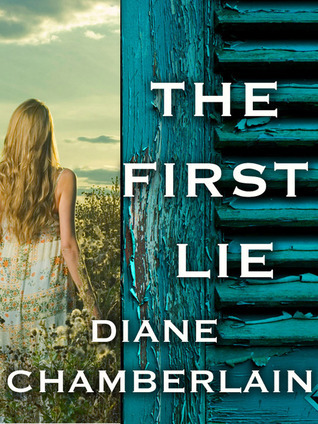 An e-original short story that sets the stage for bestselling author Diane Chamberlain’s upcoming novel Necessary Lies (September 2013). We meet Ivy Hart as she's riding her bike back from a late-night meeting with her friend, Henry Gardiner (playing with a Ouija board in the local church). Thirteen-year-old Ivy lives in a tenant farm house with her fifteen-year-old sister, Mary Ella, and her grandmother Nonnie in Grace County, North Carolina. Ivy and Mary Ella's mother has been institutionalized for more than ten years at a mental facility, Dix Hospital. Mary Ella is the prettier of the two sisters, and is pregnant. When Mary Ella goes into early labor, Nonnie makes Ivy call the social worker and arrangements are made for Mary Ella to be taken to the closest hospital. She delivers her baby, a boy she names William, and then has surgery to "remove her appendix." Ivy knows that there is something strange going on with her sister and between her grandmother and Mrs. Werkman, the social worker. Will Ivy be tainted with her sister's pregnancy out-of-wedlock? Will she figure out the truth about Mary Ella's surgery? I can't wait to read more about Ivy and Mary Ella in Necessary Lies, coming out this September.